Welcome home! To this completely remodeled casa linda condo! Park right in front and just a few steps to your front door! No steps to enter. Nothing left to do but move in. From the moment you step through the charming front door you realize everything has been changed within. Beautiful vinyl plank flooring throughout ensures easy maintenance the tastefully remodeled kitchen is ready for new life; the large center island is perfect for family and friends! All new stainless appliances, recessed lighting, central heat and ac, double pane windows, and easy clean stone counters are just a few of the special features you will encounter. You won't be spending much time inside as laguna woods offers so much to do - golf, tennis, swimming in 5 pools, 7 hopping clubhouses along with over 200 clubs and organizations. And within minutes to all the popular southern orange county beaches. Come see us soon - this home won't last! Wow! This condo has everything you need! Remodeled by one of the best in laguna woods. No stairs to this lovely unit. Maintenance free vinyl plank flooring throughout ensures waterproof protection. New central heat/ac for complete comfort all year round. Kitchen has been totally remodeled with all wood soft close cabinetry, quartz and granite counters, stainless appliances and an island right in the middle for ease of entertaining. Recessed lighting, crown molding, double pane windows, remodeled baths, stacked washer and dryer - all the must haves!. Move right in - not a thing left to do. This home has the right exposure; bright and sunny. But chances are you'll be out and about enjoying all the clubs and amenities laguna woods has to offers, some of which are golf, tennis, pickleball, bocce and woodworking, along with over 200 clubs and organizations. And just a short drive to all the local beaches with their unique art galleries, specialty shops and delicious restaurants. Come see us-you won't be disappointed. Completely remodeled & updated 2 bedrooms, 2 bathrooms, majorca model. Lower lever, no steps to unit or inside. This lower unit is light and bright inside. It has a very quiet location (no road noise). The patio is west facing so gets nice afternoon light and has an open view. The patio has astro turf laid so perfect for a little pet owner or just relaxing on patio. The interior has been upgraded with central air and heat,new dual pane windows, inside stack able washer/dryer, scraped ceilings,new doors /hardware & more. The beautiful kitchen is open to the family room and features new white self closing cabinets , kitchen island with breakfast bar, new stainless steel appliances, quartz counter tops and a beautiful large stainless steel sink. There are nice soft roller shade window coverings on most windows. The living room and patio look out to a nice quiet greenbelt with lush trees. No close buildings or parking lot to obstruct this peaceful view from the living room, bedrooms or patio. Both bathrooms have nicely renovated tiled showers with frame-less glass doors. The master bedroom has a very large walk in closet! The stack able laundry is encased in its own closet in the hall. There are lots of windows in this floor plan including one in the master bathroom and two in the master bedroom. The flooring in the kitchen, hallways and both bathrooms is a beautiful wood looking tile. With patio slider open, you get a nice cross breeze in this property! Move in condition! 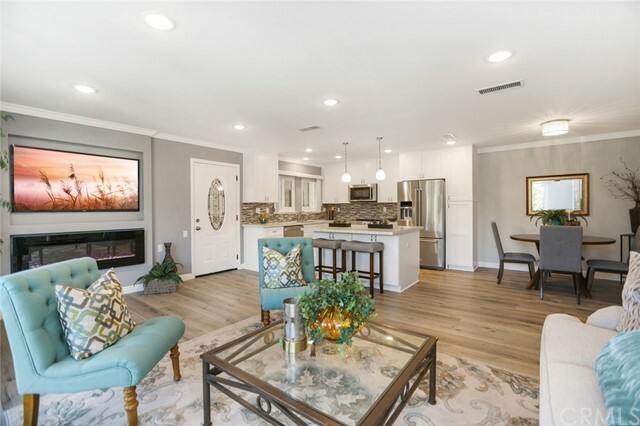 Come see a spectacular view of saddleback valley from the balcony of this castilla model condo in the heart of the senior community of laguna woods village. 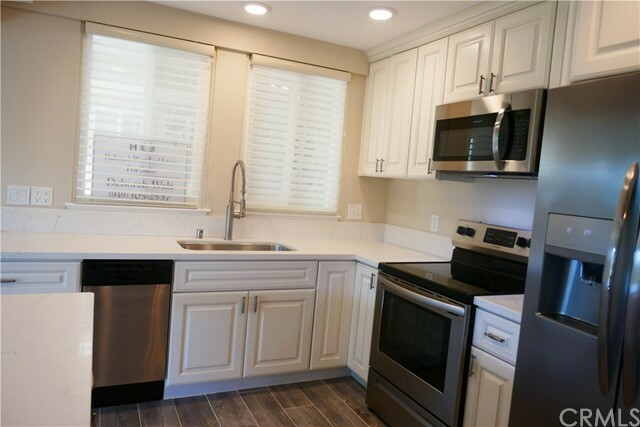 This 2 bedroom 2 bath home has a beautiful remodeled kitchen with white quartz counters, new kenmore stainless steel appliances and includes a dishwasher and microwave. The kitchen has been opened up to create an open floor plan, but still retains plenty of storage space. Laminate floors with extra sound reducing padding runs throughout the home with the exception of bathroom which have new ceramic tile. Recessed lighting, smooth ceilings and calm colors add elegance to this lovely unit. New central heat and air and energy efficient windows keep you comfortable year round. Both bathrooms have skylights to bring in natural light and a stack washer and dryer has been installed. 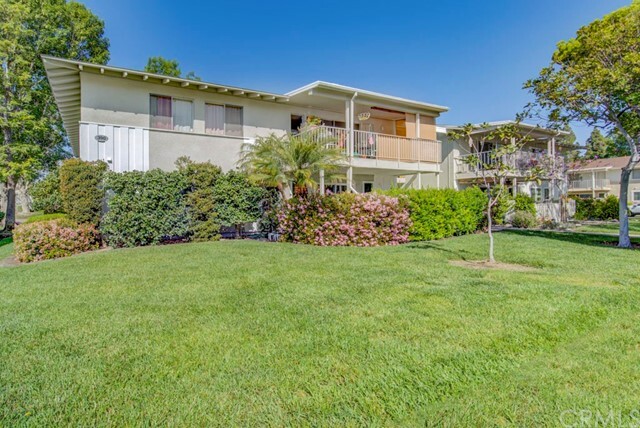 The real star of the home is the long patio with an eastern view of saddleback mountain and the surrounding neighborhood. Listing Agent: Bonnie Fullerton Listing Office: Laguna Premier Realty Inc. 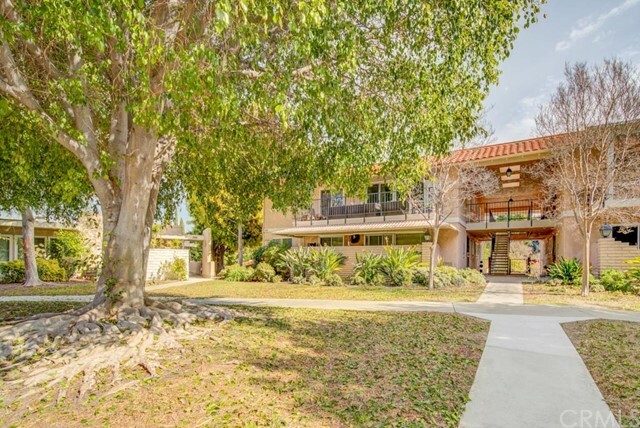 Attractive "casa contenta" with lots of natural light. 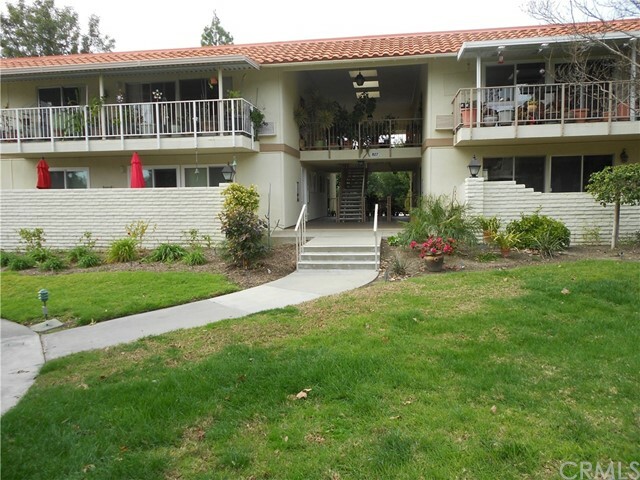 Spacious 2 bedroom, 2 bath home with only 3 stairs to the unit. 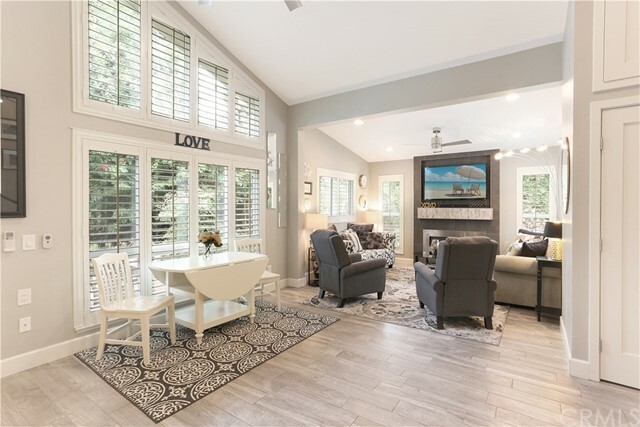 Upgrades include teak hardwood floors, smooth ceilings and crown moldings throughout, 2 heat pumps, ceiling fans, washer and dryer, and a large enclosed balcony. Kitchen features upgraded soft closing cabinets, appliances, raised formica counter tops and recessed lighting. 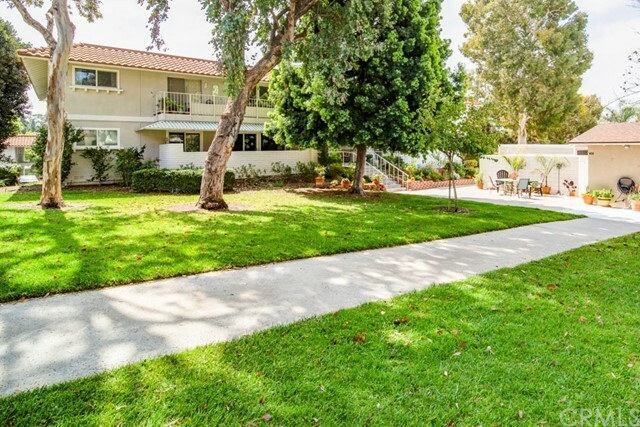 Laguna woods village, is a 55+ adult "resort-like" gated community, ideally located just a few minutes' drive from laguna beach and the pacific ocean! Amenities include: 27 hole championship golf course, tennis, pools and spas, fitness centers, lawn bowling, equestrian center, rv storage, art classes, computer labs, card rooms (bridge, poker), billiards, library, 7 clubhouses, walking trails, 200+ social clubs & organizations and much more! Free bus transportation is provided within the community and to local shopping, banks, restaurants, houses of worship, and medical facilities. Very convenient to 5 and 405 freeways. 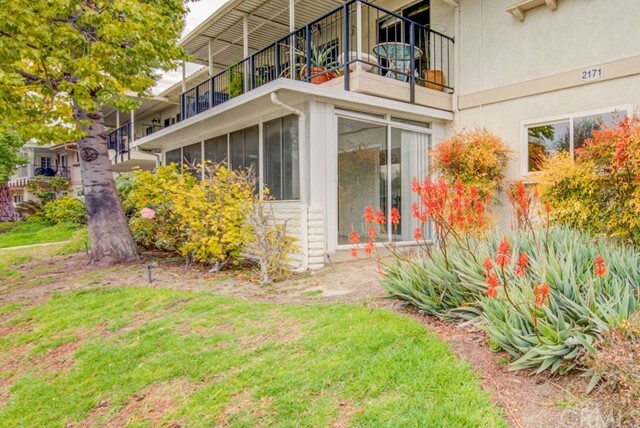 Views of hills, mountains, and city lights abound from this popular casa contenta model! Beautiful scenery is visible from every room in this tastefully decorated home. This lovely upper unit has been remodeled with lots of warm tones. Designer color paints abound as you explore this inviting home. Check out the fully remodeled kitchen with recessed lighting, granite counters, warm wood cabinets, and tile floor. Wood laminate can be found throughout the remainder of this home with the exception of the bathrooms. Walk through the double-pane sliding glass door to the outside patio; have a seat and picture yourself barbecuing, having drinks with family and friends or just reading peacefully in this quiet retreat. Scraped ceilings, crown molding, updated fixtures and hardware complete the picture. Stacked full size washer and dryer are a surprise bonus! Add all the amenities available to you as a homeowner and you will discover the hidden secrets this active 55+ community including golf, tennis, 7 clubhouses, swimming, over 200 clubs and organizations to choose from. Just a short drive to beautiful laguna beach with its unique art galleries, shops and gourmet eateries. Don't miss a visit to this home; you may just stop searching after seeing it! Amazing remodel! 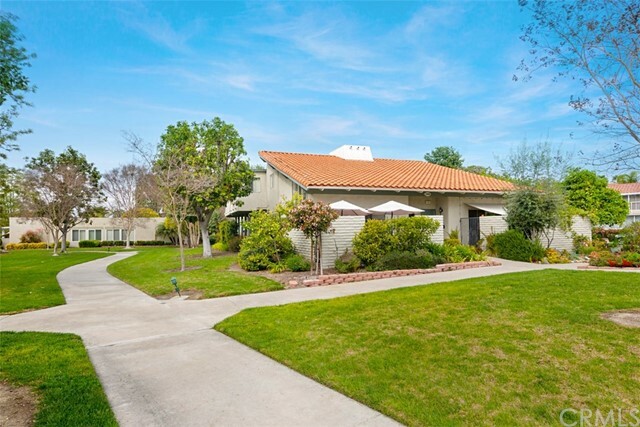 This special home is located in the resort-style laguna woods community for active 55er's. A 2 bedroom 2 bath, totally updated from the kitchen to both bathrooms and everything in between. No stairs and very light and bright with a perfect location for privacy. Great environment for entertaining or quiet moments around the lovely peninsula or outdoor patio. The white shaker cabinets with pull out drawers and soft close features enhanced by newly installed custom carrera backsplash and stainless steel appliances creates an atmosphere of sophistication and an urge to roll up your sleeves and prepare your favorite dishes! Although you may just opt to pour the wine after a day out on the golf course! Complete electrical updates from the newly installed panel box to recessed led lighting throughout. Both baths have been completely remodeled with a spa-like atmosphere in the master bath with frameless shower. All new double pane windows, crown molding, kohler toilets, frosted interior doors, easy maintenance wood-inspired laminate flooring, and so much more. Inside laundry closet houses a new stackable washer/dryer for your convenience. Carport is just behind the unit or optional parking right outside your front door. Add all the amenities available to you and you have a winning combination - 2 golf courses and over 200 clubs and organizations! And just minutes to laguna beach with its unique art galleries, specialty shops and gourmet eateries!